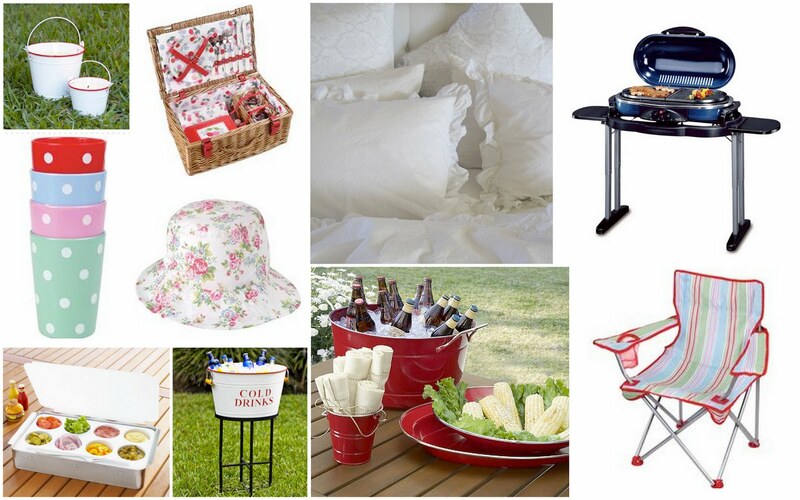 Glamping: the glamorous way to camp. Have you heard of this term? I just found out about it. We go camping every Memorial Day to the OBX. I found all sorts of articles about glamping. A friend painted the inside of her camper trailer and slipcovered all the cushions, so it would feel more like her home away from home. So as we get ready for our upcoming trip, I’m going to be busy making treatments for the windows and I’m also going to slipcover the cushions. I always take my bedding very seriously…egg crates, my sheets, fluffy, cozy bedding and lots of pillows. Why not? This is your home away from home. This is your vacay. Why not surround yourself with the comforts of home? I would love to paint and do it all up. But I’ve already taken over the house in my girlie way…so I’ll go easy on the camper. And did I say it had a full bathroom with a shower. hello? It just needs a little glamping up! Here is our little home away from home. I was inspired by Vintage Housewife’s Pink trailer. Go check out what she did to the interior! Oh, BTW…I was featured over at DiggersList today. It’s a free online home improvement classifieds for all us DIY’ers! I've been eyeing travel trailers on craigslist that would be perfect for glamping. So far, H isn't really into it. WooHoo get some practice in so that when I bring my new “home” home I can soak up all your ideas! We love camping on the OBX! We don't have a camper though…it's strictly old school for us. We've *glamped* for years. Here's a link to pictures of our vintage trailer and its pretty interior. Ours is a '65 Kencraft. We used Ralph Lauren 'Charlotte' sheets to make curtains and the headboard. Ralph Lauren 'Coco' sheets were used for the cushions. My husband put down pergo flooring. We just have to repaint the outside but that'll come. your camper trailer is adorable! yall have to go see it. She's got a bunch of post on glamping that i just read! thanks for stopping by a little lovely! love your blog, too cute! WE just started glamping up our new trailer. I am doing it all it 50's western kitsch…cowboys and indians pandants are my fav right now. OMG we own a car lot in West Tx. and hubby (might have lost his mind) just bought 150 used TT's!!! Holy smoke! (By the way, drop me a line if anyone out there is in the West TX vicinity and wants a TT for a low price! 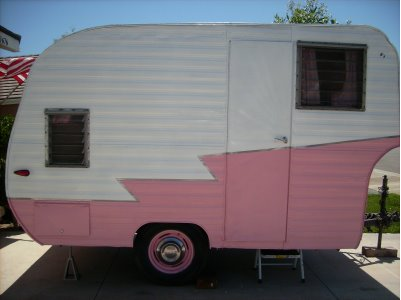 quiltychick.blogspot.com) We are going to buy one for ourselves and I am going to seriously “glamp” it up!!! The ideas are spinning in my head! In the meantime we are turning one into an office/show trailer for the car lot…I am starting that this weekend! Yay! I was so excited to see your post because I have been searching for blogs showing spiffed up trailers. I can't find many, but I bet they are out there. Vintage Housewife is a good one. Tickleberry Farm, from your comments, was awesome too! 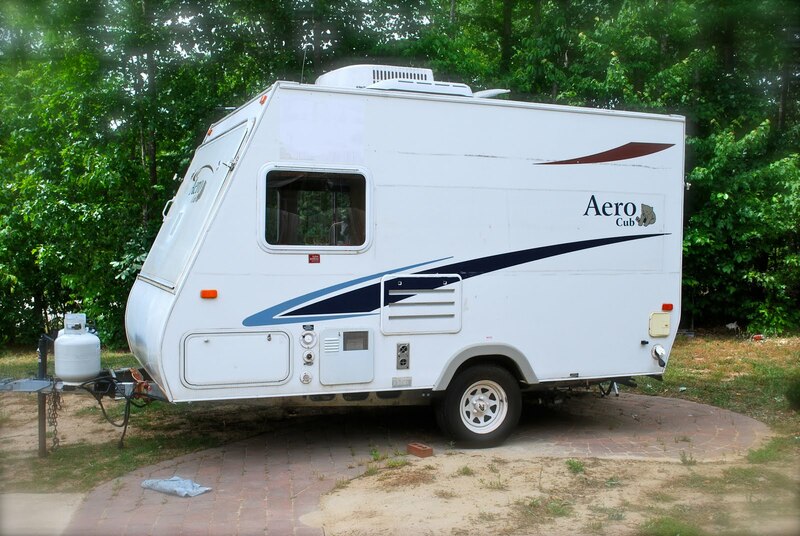 Hello “glamped” travel trailer bloggers… leave a please leave a link so I can see yours!! just got the book *my cool caravan* for my birthday! adore it and these photos!!!! O. M. G. We just got the camping bug and took our boys for the first time. I LOVE THE WORD GLAMPING! I kept telling hubby we needed to get an Airstream trailer (those silver tube looking ones) until a camping neighbor told us the prices are hefty. Maybe we'll find an old tent trailer and “glamp” it up!